About Delaware Defensive Driving, Inc.
Smart Defense — a battle against the Power of the Force. 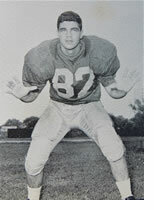 Bob Reeder is a former University of Delaware Fighting Blue Hen three-time football letter winner and the creator of the Smart Defense curriculum. Bob brings to the safe driving arena a background that is unparallel and would be difficult if not impossible to duplicate. Following his graduation from the U of D, Bob headed for Pensacola Florida where USMC 2nd Lieutenant Reeder began flight school training and earned his wings as a Marine Corps Jet Pilot. Bob credits his time as a Marine Jet Pilot with allowing him the experience to learn about and develop an in-depth understanding and respect for the characteristics of Nature’s Law (The Force). This extensive experience has now formed the basis for a very unique curriculum. 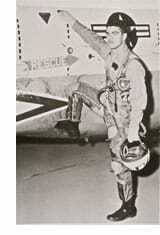 During his United States Marine Corps tenure, not only did Bob serve in a jet attack squadron, but in addition he was assigned to a training squadron where he became an instructor pilot. Following an honorable discharge from the Marine Corps, Bob entered the field of education and held positions as a physical education instructor, guidance counselor, assistant principal and sixteen years as a driver education teacher. It was during his time as a driver education teacher that Bob opened Delaware Defensive Driving, Inc. and took on the challenge of developing his “Smart Defense” curriculum. It is estimated that Delaware Defensive Driving has issued more then 132,000 course completion certificates over the past 26 years.